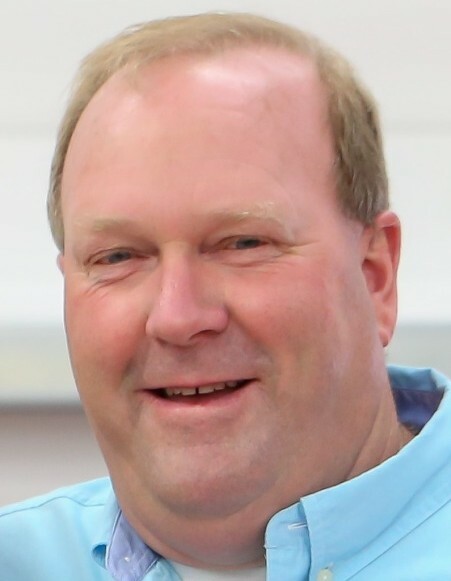 Gary Lee Polk of Leesburg, Indiana passed away at 5:27 a.m. on Monday, April 15, 2019 at Visiting Nurse & Hospice Home of Fort Wayne, Indiana at the age of 57. He was born on March 8, 1962 in Goshen, Indiana to Shirley Ann (Tinkey) Polk and Larry Eugene Polk. He was married to Sherry Sue (Long) Polk. Together they had four sons before they divorced. Gary was a 1980 graduate of Warsaw High School and owned and operated Gary Polk Equipment in Leesburg. He was a longtime member of Leesburg United Methodist Church and attended Clunette United Methodist Church. He enjoyed farming, tractors, mushroom hunting in Missouri and he also volunteered for the Leesburg Fire Department for 20 years. Most of all he loved being involved in his son’s activities while they were growing up, especially being on the Beef Committee when his sons were in 4-H. Gary will be forever remembered as a loving father and grandfather. He will be lovingly remembered by his four sons: Josh Polk (Middleton, Indiana); Jacob (Rachel) Polk (Milford, Indiana); Jordan (Linzi) Polk (Leesburg, Indiana); Jared Polk (Warsaw, Indiana); four grandchildren: Charlotte and Savannah Polk (Milford, Indiana); and Zoey and Jazzlyn Polk (Middleton, Indiana). He also leaves behind his parents: Shirley Ann and Larry Eugene Polk (Leesburg, Indiana); two brothers: Dennis (Pam) Polk (Syracuse, Indiana); Tim (Lili) Polk (Winona Lake, Indiana); sister: Sally (Gary) Bailey (Leesburg, Indiana); and numerous nieces and nephews. Visitation will be held on Thursday, April 18, 2019 from 2:00 – 8:00 p.m. at Redpath-Fruth Funeral Home, 225 Argonne Road, Warsaw, Indiana, with a Masonic service at 8:00 p.m. conducted by the Kosciusko Masonic Lodge #418 of Milford. His funeral service will be conducted at 10:00 a.m. on Friday, April 19, 2019 at Redpath-Fruth Funeral Home and officiated by Pastor Mike Beezley. Burial will follow with a graveside service at Leesburg Cemetery in Leesburg, Indiana. Memorial donations may be directed to The Sandra J. Schulze American Cancer Society Hope Lodge, 411 Second Street NW, Rochester, Minnesota 55901; or to Visiting Nurse & Hospice Home, 5910 Homestead Road, Fort Wayne, Indiana 46814 and would be appreciated by the family.